Does my baby need to be fully immunised before swimming? It's never too soon to introduce your baby to water. Medical research shows that a baby doesn't have to have completed the full immunisation course before you take your baby swimming. However, we do advise that you speak to your GP or health visitor if you have any concerns about pre-immunisation with baby swimming. What should my baby wear for baby swimming? 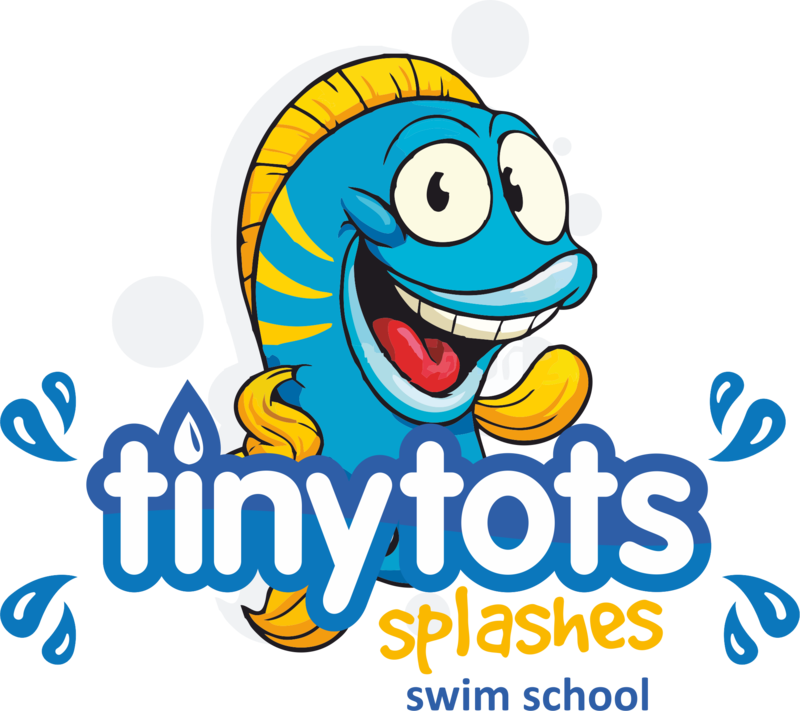 Tiny Tots Splashes operate a strict double nappy policy. Every baby and toddler up to the age of 3 years must wear a disposable swimming nappy and a specialist Splash About Happy Nappy over the top. Even if your toddler is potty trained, we do require double protection for attending all swimming lessons. Buy your Happy Nappy direct from the office. When should I feed my child before swimming? Babies may be feed no more than 60 mins before entering the pool to allow food to be digested. Babies may be hungrier (and sleepier) after swimming due to all the exercise, so they may need a big feed after the swim. Please note that food is not allowed inside the pool facilities. Why teach my baby/child to swim? We believe the best start in life for a child is swimming. It's such an important skill and giving a child water confidence is a precious gift. We also provide a great social environment for parents and babies, especially for mums as their social life totally changes with the new arrival, to meet and share their precious baby time. Why start baby swimming so young? We believe introducing your baby to water from an early age helps them avoid the traumatic experience that older children sometimes suffer around water. More importantly we believe that babies who learn key life saving skills from an early age, many of whom can swim by as young as 2 years old, while not drown proof have a much greater regard for water and are safer around it. Will my baby learn to swim on his/her own? Our classes are small groups of no more than 5 pupils in a class and are held in our warm private pool in Bedhampton. Getting children in the pool early is vital and means that by the time they are 2 years, they will have learnt to doggy paddle and will most likely have mastered some basic strokes. At the earliest stage they learn lifesaving skills including floating, turning and swimming to hold on. Through continuous development on the courses, they should be able to swim 5m unaided by the age of 2 1/2 - 3 years. We always advise parents that learning to swim takes a lot of practice and patience and every child will accomplish the goals in their own time as it happens with any other learning process. We do not rush or force any baby or parent into any activity they are not ready for. What are natural baby swim reflexes? All Babies have a natural ability for swimming, having a different reflex that makes them perfect candidates for swimming. Reflexes are defined as automatic responses to an outside stimulus. Healthy babies are born with extremely sophisticated natural reflexes that protect them from any harm and are very important as they promote their survival. we work around these reflexes to turn them into deliberate actions by using such commands like ready go splash over their faces can help with breath control. What is the Gag Reflex? The ‘Gag’ Reflex is activated when water enters the mouth. The glottis and epiglottis close preventing water from entering the throat and providing a water tight seal to the lungs while your baby is submerged. This is why you often see babies swimming with their mouths open. We offer quality baby and child swimming classes at an affordable price. Each six-week swimming course, expertly developed by Kira Griffin & Kelly Smith, costs just £66.50. Like us on Facebook for lesson photography, exclusive discounts and offers. Ready to book? Call 023 9249 2900. Got a question? Try our FAQs first. Bank transfer, debit and credit cards accepted.